The rumors about Castlevania’s grand return to Nintendo handhelds were true. The newly revealed cover for Nintendo Power’s June issue reveals Konami’s Castlevania: Lords of Shadow—Mirror of Fate, not Mirror of Faith, is in fact a new entry in the long-running franchise about whipping vampires directly in their most tender parts. Go Nintendo reprinted the cover of the magazine as well as a few key details about the game. Though Mercury Steam’s Lords of Shadow for Xbox 360 and PlayStation 3 abandoned most of the lore of previous Castlevanias, Mirror of Faith returns to the canon established by the decades-old NES titles. 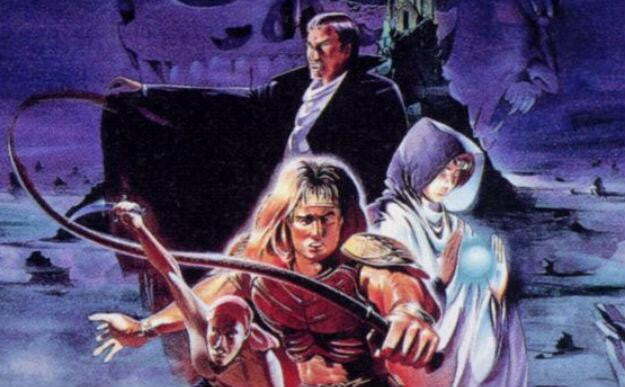 The main character is actually the protagonist of Castlevania III, Trevor Belmont. Despite the returning hero though, the game’s fighting mechanics have more to do with its modern incarnation, with an emphasis on combat. Light and strong attacks are mixed with item attacks with smaller weapons like a bladed-boomerang and bombs, as well as grappling, blocking, and dodging. Experience points gathered in fights are used to upgrade moves and new combination attacks. This play style places Mirror of Fate far more in line with the God of War-styled Lords of Shadow than with the simple whip-shoot-jump of Trevor Belmont’s first adventure, though it appears that the presentation is somewhat closer to older Castlevania outings. The characters and environments are polygonal rather than hand drawn sprites like in Castlevania: Dawn of Sorrow or Order of Ecclesia, but that action does take place on a two-dimensional plane, with the player’s view arranged isometric-ally above Trevor. Think of it as an angled perspective on the classic side-scrolling game, similar to old “2.5D” games like the PlayStation’s Pandemonium or Klonoa. The angled view will no doubt intensify the stereoscopic 3D effect that is that system’s raison d’etre. For fans of the series, it’s sad to see that Konami has abandoned the artistry that was a hallmark of the Nintendo DS Castlevania titles. Games like WayForward’s Mighty Switch Force and Renegade Kid’s Mutant Mudds have demonstrated just how potent and appealing hand-drawn pixel graphics are on Nintendo’s 3D handheld. While Castlevania: Lords of Shadow was a fine looking game with polished polygonal graphics, it was severely lacking in the colorful flair that made the series so distinct. The tiny, grainy screenshots included with Go Nintendo’s report certainly don’t do justice to Mirror of Fate. Fingers crossed that it relies less on muted realism and more on the elegant color that deserves to attend the Castlevania name.